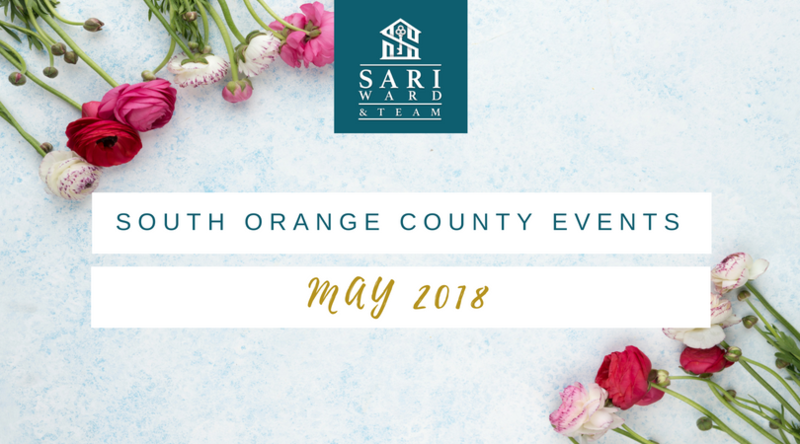 Summer is approaching and there is no shortage of May events taking place in South Orange County! From the Doheny Music Festival, to the Memorial Day Half Marathon in Laguna Hills, there are plenty of opportunities to be outdoors and take advantage of the beautiful California weather! Check out Sari & Team’s list of events below! What: Hosted by the Laguna Niguel Youth Committee, this annual music festival gives local middle and high school students an opportunity to perform at the Crown Valley Park Amphitheater. Food will be available from the In-N-Out Burger food truck for a suggested donation of $12.00. All proceeds will go to Kids Helping Kids, a local youth charity. When: Friday, May 18, 6:30 p.m. to 9:30 p.m.
What: The 2018 event marks the 20th annual City of Laguna Hills Memorial Day Half Marathon, 5k, and 10K, Honoring the United States Marine Corps Dark Horse Battalion. The annual race runs through Laguna Hills, Aliso Viejo, Laguna Woods, and Laguna Niguel. Runners and walkers of all experience levels are invited to participate in the Memorial Day festivities! Races taking places include: Half Marathon (13.1 miles), 5K Run/Walk (3.1 miles), 10K Run/Walk (6.2 miles) and a Kid’s Run (1/2 Mile). When: May 28, 7 a.m. to 12 p.m.
Tickets: $10 for the Laguna Hills Half Marathon Beer Garden. For registration info, click here. What: The 21st annual event features three alternating stages with legendary performances by legendary blues, rock, and soul artists. The weekend festival also includes craft brews and an eclectic vendor village with more than 50 pop-up shops. The festival will take place at a new venue, Dana Point’s Sea Terrace Park, and headliners include George Thorogood and The Destroyers, Blues Traveler, Buddy Guy, and Eric Burdon and The Animals. What: Chili enthusiasts from all over California will flock to San Juan Capistrano to compete at this friendly competition, with the hopes of advancing to the next level of competition. The event is presented by the Swallows Inn and the San Juan Capistrano Equestrian Coalition and also includes live music, dancing and shopping! When: Saturday, May 5, 12 p.m.
Tickets: $5. Children under 5 years old eat free. What: Celebrate culture, food, and entertainment in the Spanish Village by the Sea! The free event includes live music and entertainment plus food trucks, a petting zoo, train, crafts, games and more! When: Saturday, May 5, 2 p.m. to 6 p.m.
What: The Market at north Beach in San Clemente begins on Wednesday, May 9th and will operate on Wednesday through August 29th. The certified Farmer’s Market includes fresh seasonal fruits, vegetables, and flowers, plus arts and crafts vendors, food trucks, and a weekly children’s activity. When: Begins Wednesday, May 9, and operates Wednesdays through August 29th from 4 p.m. to 8 p.m.